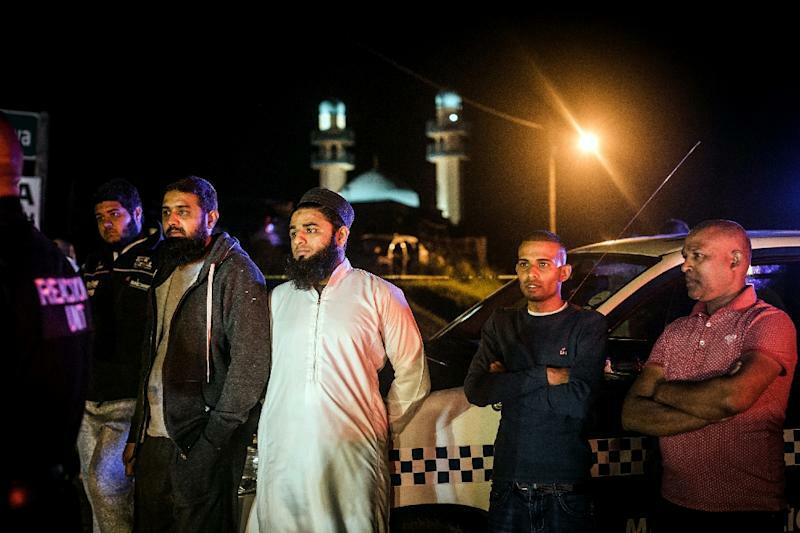 Johannesburg (AFP) - A South African mosque where worshippers were stabbed last week in an attack which police said displayed elements of extremism, was Sunday evacuated after a suspected bomb was found inside, police and private security said. One worshipper died and two others were wounded in a knife attack in the same mosque last Thursday in Verulam town on the outskirts of the eastern port city of Durban. On Sunday private security responded to a call from worshippers who saw the suspicious device moments before they were to conduct evening prayers. "We can confirm that there is a device that was found at the mosque. The bomb disposal unit is at the crime scene, they are going to tell us whether it is an explosive device or what kind of device it is," elite police unit spokesman Simple Mhlongo told AFP. A private security official Prem Balram said worshippers had told him that "a device that resembled a bomb" which was attached to a phone and was connected into a "white capsule via two cables was found under the chair at the prayer place, it was actually the moulana's chair", referring to the Muslim religious leader. Speaking to the local eNCA television news network, Balram said the entire mosque and up to 40 homes in the vicinity were also evacuated for the safety of residents. On Thursday, three attackers killed one man by slitting his throat and injured two others after midday prayers at the mosque. No arrests have been made yet, but Mhlongo said last week's mosque attack showed "elements of extremism.... It shows hatred towards the worshippers," he said. One Muslim leader said the mosque was targeted because it was a Shia place of worship that had received previous threats -- exposing deep tension between South Africa's Shia and Sunni communities. Police Minister Bheki Cele had toured the mosque earlier on Sunday.